A survey of around 1,000 East European road haulage drivers published by the European Transport Workers’ Federation (ETF) in 2013 found that the majority (60%) spent between 3-12 weeks away from home, 80% cooked and ate their own food in the lorry, 95% took their breaks and rest periods (including the weekly rest of 45 hours) in their lorries (contrary to EU working time regulations), 60% were paid by driven kilometres (despite EU Regulation 561/2006, Art.10 forbidding payments per kilometre schemes that have a negative impact on road safety), approximately 80% of the interviewed drivers stated that fatigue was a problem but they would not report it as they were afraid lose their job. A more recent 2015 study of 225 Bulgarian, Romanian and Macedonian drivers working in Denmark found that the average time working and living in their lorry away from home was 7 weeks (88% slept in their lorry most nights), pay was just €1,100 to €1,900 per month (16% were paid on the basis of kilometres driven), drivers reported regular breaches of the rules on working time and 13% stated that their employer exerted pressure on them to break the rules on driving and resting times. These appalling conditions hit the headlines a few days ago with a BBC ‘exposé’ on drivers making deliveries for IKEA. 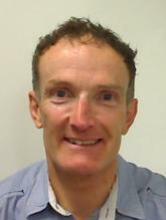 Commenting on his ‘living conditions’ – an empty container box where the drivers were able to cook at the weekends, unlike weekdays when they cook their meals at the side of the road – a Romanian driver lamented: ‘we don’t have nothing like a human person’. While the BBC was keen to point out that IKEA is not the only major retailer that benefits from the inhumane employment conditions of East European drivers, it seems the public only pay attention when we ‘discover’ why the prices we pay really are ‘too good to be true’, or more accurately ‘too good to be fair’ to all the workers involved in the production and distribution process. Like many of the social problems thrown up by the Single European Market, there could be some simple technological and regulatory ‘fixes’. But these demand political will and cooperation between EU Member States. Tachograph with tachograph chart © Copyright Patrick Seidler under a Creative Commons Attribution-Share Alike 3.0 Unported license. 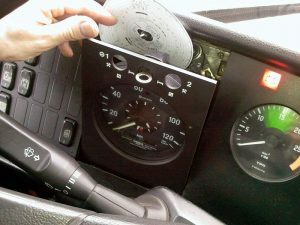 First, all trucks over 3.5 tonnes should already be fitted with a tachograph, and it would be relatively straightforward to connect this with GPS to monitor the location, speed, distance, driving time and rest times of foreign vehicles and drivers. This data could (and should) then be shared between EU Member States under the National Electronic Registers (NER) and the European Register for Road Transport Undertakings (ERRU) (Regulation (EC) No 1071/2009) so as to develop complete and accurate electronic operator compliance records. Enforcement agencies in Member States could then use real-time access to NER, ERRU, risk scores and other relevant databases to improve compliance with existing EU Regulations (the 2009 ‘Road Package’). Second, if drivers spend several weeks, sometimes months, in a foreign country before returning home for a one or two week break, they are effectively ‘posted’ and not ‘temporary’ workers. A change to the EU ‘Road Package’, which is currently under review by the Commission, could easily ensure that these drivers are entitled to the terms and conditions of employment of drivers in the ‘posted’ country (of work), rather than the ‘home country’ (of the driver’s residency, or of the Member State where the ‘letterbox’ company the driver works for is registered). While market regulations can always be improved by political action, where there is an ‘imbalance’ in market power (e.g. the big retailer vs. the small haulage company or the owner-driver working as a sub-contractor) there will be strong downward pressure on freight rates. Ideally, the companies who contract for road haulage services, especially the major retailers like Ikea, should pay a ‘fair price’ for the transport services they need to move goods from place to place. But as in other countries facing similar problems (e.g. Australia), some retailers are more willing to pay ‘safe rates’ than others. Working with students in the School of Economics, Finance & Management at the University of Bristol, I am currently looking at how to move towards a fairer system of pricing and competition in the European road haulage industry, as well as the international road passenger market, which is also regulated by the 2009 ‘Road Package’. In the coming months the Commission will publish its own review of the Road Package and propose changes to the 2009 Regulations. 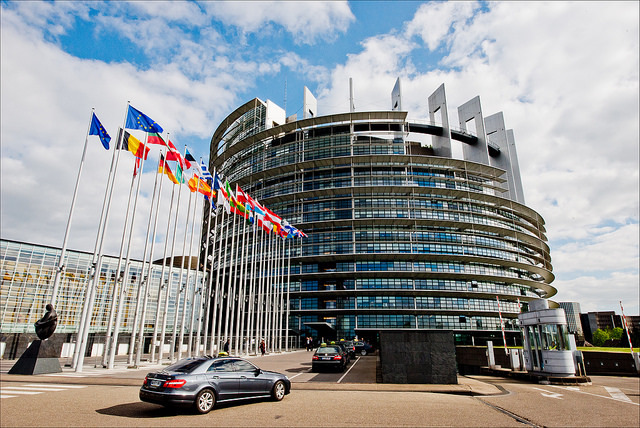 Our research will contribute to the subsequent policy review in the European Parliament. Our research will also inform transport policy in the UK post-Brexit. Around 30% of all food consumed in the UK comes by road freight (4.4 million driver accompanied freight vehicles moved between the UK and continental Europe in 2016) and we have approximately 60,000 non-UK (i.e. EU) drivers driving on our roads at any one time. Road transport is therefore a great illustration of the ‘four freedoms’ – we need freedom of labour if we want freedom of goods. Put differently, our borders need to be ‘open’ to the truck and the foreign drivers. 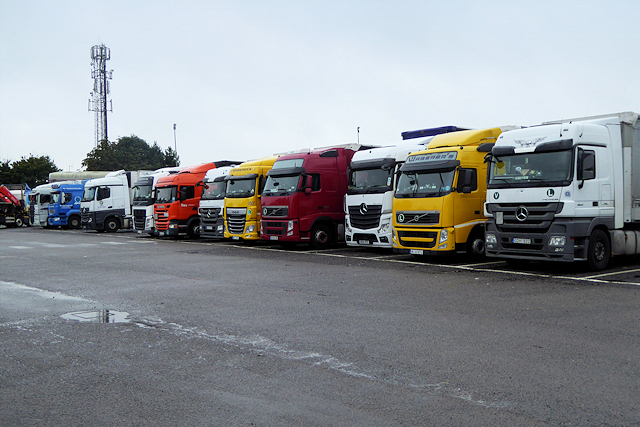 Without UK drivers willing to drive the trucks at the going/unfair rate, any customs control or delays will result in a rise in haulage rates, which will inevitably result in a rise in food prices. Unsurprisingly, transport has been identified as a ‘priority industry’ by the government in the forthcoming Brexit negotiations with our EU partners. Fair pricing in the road transport sector means that hauliers are not undercut by low cost competition that exploits loopholes in the rules of the Single Market or that exploits the labour of workers from Eastern Europe. So as you drive home tonight to your warm house, hot meal and comfortable bed, remember that the prices we pay for cheap food and consumer goods, really are often too good to be fair. This entry was posted in Business and economic policy, Global political economy, Uncategorized and tagged EU, EU Road Package, IKEA, road haulage, safety, Single European Market, transport, unfair payment by policybristol. Bookmark the permalink.